Want Shade? Let us count the ways! As we speak to homeowners who are interested in adding an outdoor living space, we review their objectives for their new space. Do you just want more Vitamin D time with an outdoor place designed to soak in as much sunlight as possible? Are you creating a getaway in your own backyard to enjoy romantic dinners or hide away with a book? Some homeowners are looking for a new family room that’s not as formal as inside and has the amenities of a dream family room. As our Design Consultants work with homeowners to design their new outdoor space, one key consideration is how much sun you want. Almost universally, homeowners want to enjoy the healing properties of the sun while enjoying their outdoor space. But you may not want total sun protection. There are a number of “shade structures” you can choose to manage the amount of sunlight your new space receives. Envision yourself in an outdoor room that has a cathedral ceiling and large screened areas spanning 3 walls of the room. Plenty of light would pour in through the wide screened openings and through the gable end of the vaulted roof. The room would be bright, airy and sun filled. Now imagine that room, without the walls. An open porch is a room alternative that not many homeowners think of. Why would some homeowners want a roof structure without walls? With an open porch, you have unfettered access to your yard and also to the air and sun. While our screened porches are designed to allow in as much light as possible, the screens and columns do impede some light. With an open porch, you have columns but can otherwise enjoy unobstructed access to fresh air and the breeze. 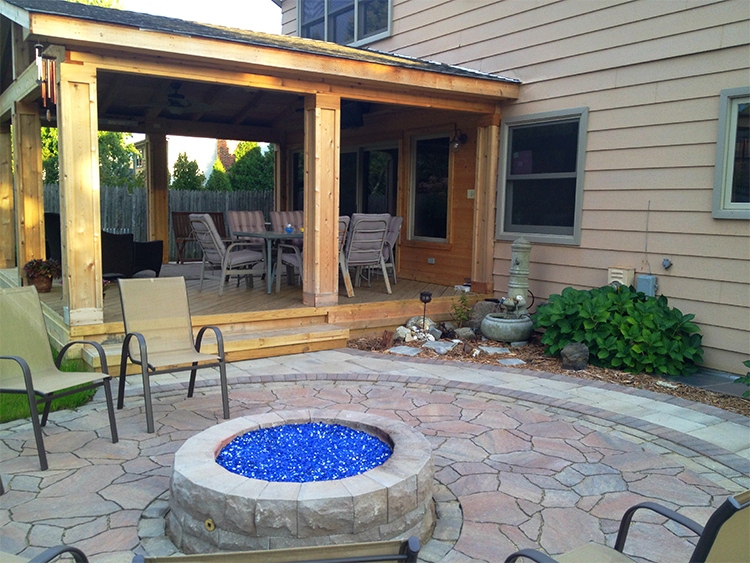 With an open porch, you have the opportunity to enjoy many indoor amenities in your outdoor room. Because your room has a ceiling with a good degree of protection from the elements, your room can be wired for lighting, for one or more ceiling fans, and for outdoor entertainment such as speakers. Because the roof adds a good bit of protection for the elements, you can choose more indoor type amenities to bring your favorite indoor activities indoors. You have more options with outdoor furniture. 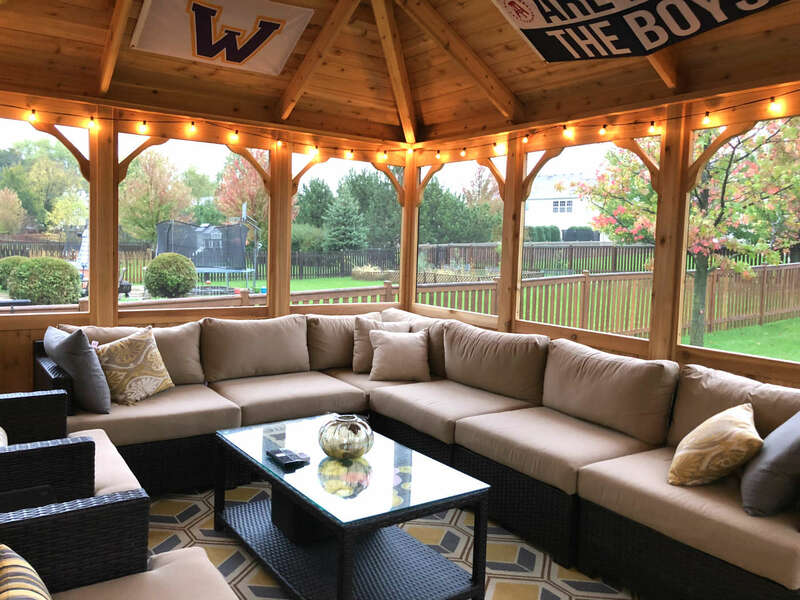 While outdoor furniture has come a long way in terms of holding its own against weather, having roof protection provides a good bit of protection from falling leaves, from direct sun (to prevent fading) and may even keep you fairly dry while enjoying the sights, sounds and smell of a light rain while outdoors. If you thought gazebos were only used at picturesque lakes, at wedding venues or in old-fashioned backyards; think again. Gazebos are no longer constrained by size or shape. Octagonal or hexagonal are just two shape options. Gazebos no longer need to be a very small ornamental space to stage pictures. Looking at the room above, you can see today’s gazebos are nothing like yesterdays. 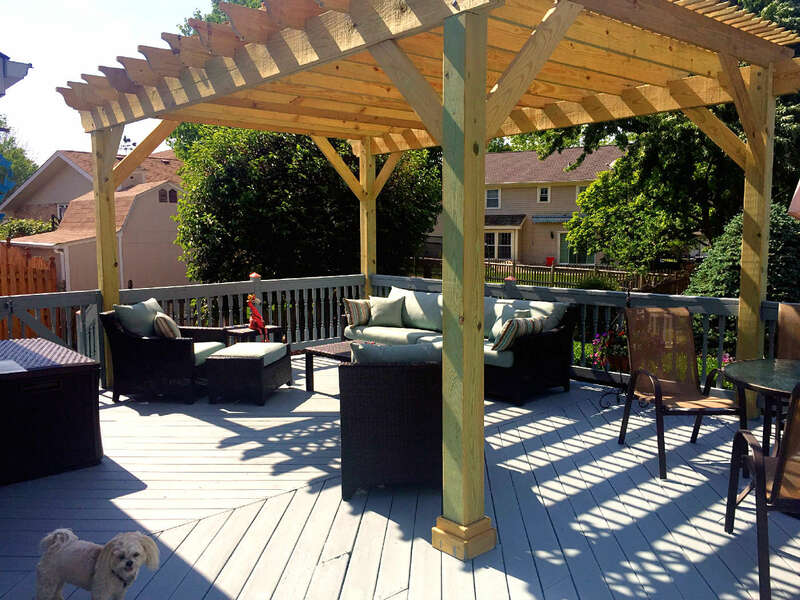 The pergola above not only fits a large sectional but also a couple chairs, coffee table, and an outdoor rug. It comes complete with electricity to wire in the string lights of your choice. One or more fans can be installed to ensure the entire outdoor room gets plenty of fresh air and a gentle breeze. Some shade structures are designed with another goal in mind – to add a statuesque design element. As you can see above, the pergola provides some shade along with visual appeal and dimension as the sun descends through the rafters. Pergolas can be free-standing detached structures of can be attached to your home. The sky is the limit when it comes to the shape and design. 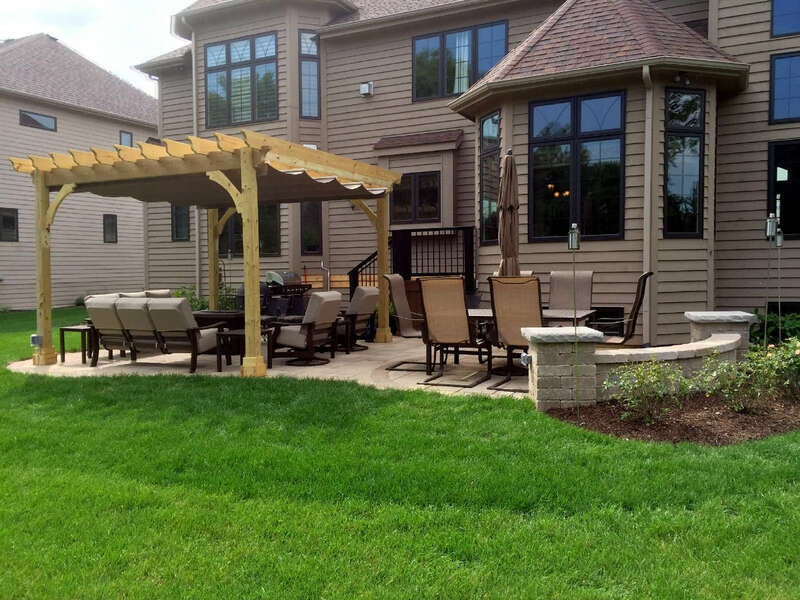 If you’re considering adding a shade structure to your backyard, give us a call for a free consultation at 847.496.4333 or drop us an email to set up an appointment. We look forward to providing a free design consultation to you.